These tips for a smooth online mental health therapy session are part of a sponsored post. All opinions are my own. If you or a loved one are dealing with mental health issues, talking to a professional may help. Our lives are filled with stress and emotional challenges that we cannot always find our way through without help from a therapist. However, there are many challenges when it comes to finding the best mental health support. And finding the right therapist is just the beginning. Finding the time to attend and transportation to the appointment are also factors to consider. If these are challenges that YOU face, you may want to consider online mental health therapy from BetterHelp. Online therapy provides access to mental health information to people in rural areas. Individuals who are unable to leave home due to a physical or mental illness may find online therapy helpful. You can usually schedule therapy sessions for times that are most convenient for you. Online therapy is usually fairly affordable, even if you don’t have insurance. Some insurance companies do offer online therapy insurance but you will have to call your provider and ask. Sign up for online therapy on their website. After you sign up, they match you to an available counselor who fits your objective. It generally takes around 24 hours to be matched with a counselor. Chat with your counselor via phone, messaging, video, etc. Choose the method that works best for you. The cost of counseling through BetterHelp ranges from $40 to $70 per week (billed monthly) and includes all your messaging, chats, phone, and video sessions. You can cancel your membership at any time for any reason. 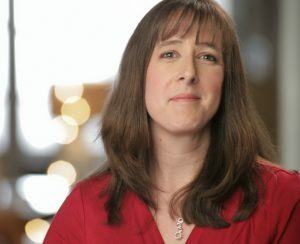 Learn more about BetterHelp.com by following them on Facebook or Twitter. They are an excellent choice to help you find the best online therapy for you or your teen. If your teenagers are struggling with mental health issues, check out my post on how parents can help. And if you think your child needs a therapist, BetterHelp may be a good option. 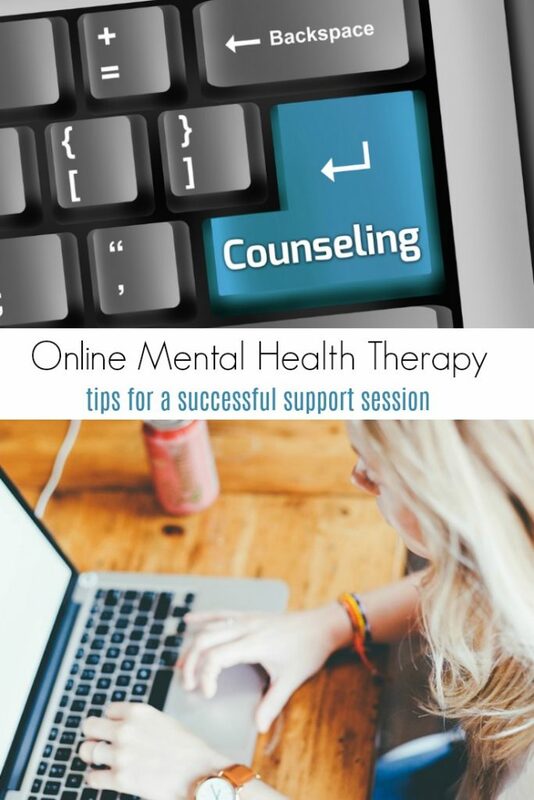 While online therapy is a great way to find the mental health support that you need, you do need to do a bit of planning and organization to make your sessions run smoothly. You want to make the most of the time you have with your counselor and not spend the whole time rebooting your computer. Before you begin your therapy session, choose the right location for your chat. Since you can use a tablet or phone, you are not tied down to the location of your desktop computer. If you are planning on doing a video chat, choose a quiet room, preferably one that is well lit. Make sure that no one in the family is streaming a movie at the same time as your therapy session. WiFi is only so fast and you may end up losing your connection if it is busy doing too many other things. Put the dog outside and turn your ringer off on your phone. If possible, log into the site 5 to 10 minutes before your video call to make sure you can connect properly. Check your camera and microphone settings to ensure a clear picture and sound. 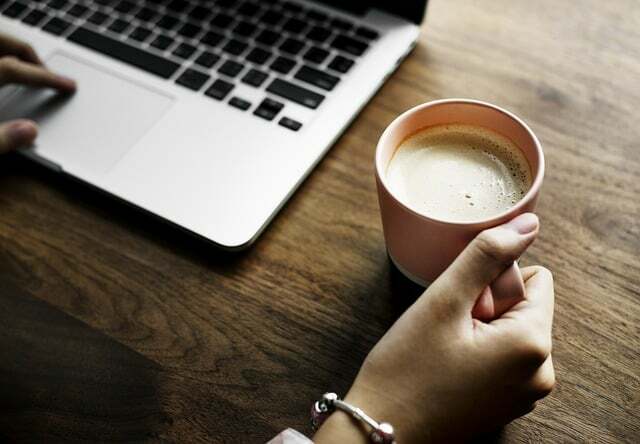 The first session might take a few minutes to figure out all the ins and outs of the platform but after that, talking to your online counselor should be a breeze! 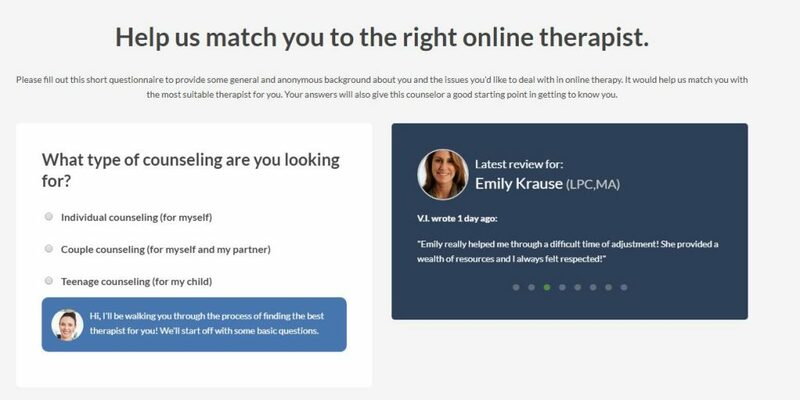 The great thing about BetterHelp.com is that you can message your therapist without doing a full video call. Talk to your therapist about the best ways for you to reach them with questions. Since online therapy is so accessible, you should definitely consider it if you are struggling with mental health problems. Is online therapy something you have ever tried?